Recently the Silver Creek VFW Post 6472 hosted the Chautauqua County VFW convention. 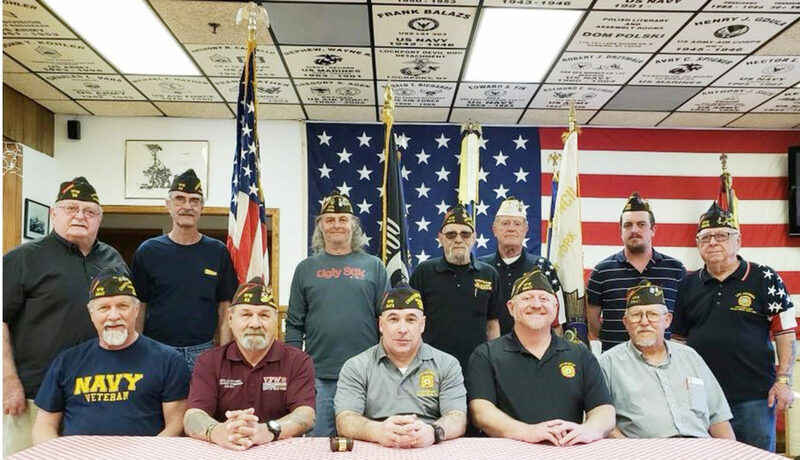 The following were elected to the Chautauqua County Council VFW for 2018-2019. Standing(L-R) Jim McInally (Installing Officer), Dan Kell (Adjutant), Frank Riscille (Trustee), Tom Rabb (Chaplain),Richard Henry (Trustee), Cory Zaranek (Surgeon), Ed Fik (Trustee). Seated(L-R) Gary Counts (Judge Advocate), Marcello Rotunda (Senior Vice Commander), Colin Anderson (Commander), Kirk Allen (Junior Vice Commander), Paul Holthouse (Quartermaster).